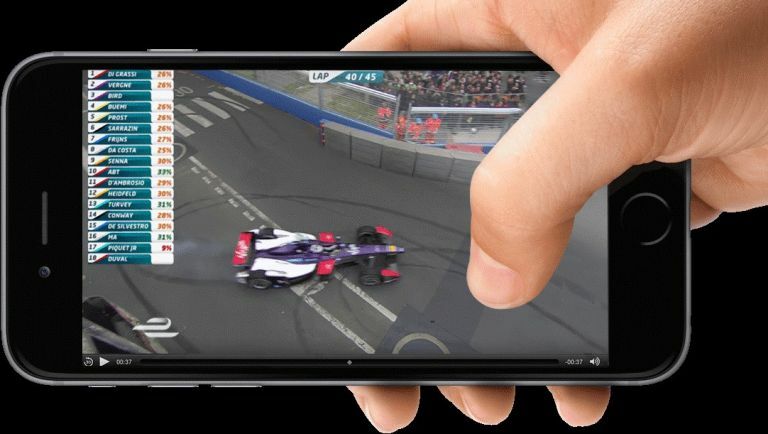 Professional motorsport championship Formula E has debuted a brand new instant replay technology - one that streams content direct to your mobile devices mere seconds after the moment. First used at last week's inaugural Formula E Paris EPrix, Rewind works by using in-house Wi-Fi or local area networks to create a viewing experience full of replays and stat-based content to give fans in any given arena or racetrack all the info and updates you'd get from watching it on your TV. You don't even need an app, you just connect to local Wi-Fi, load up your browser and connect to Rewind.com. During the test, a total of 19,700 replays were transmitted to 350 different users who were sitting in a bar across the street from the racetrack. According to a press release, over 150 replays were accessed within 20 seconds each pivotal moment of the race. "We are always looking at ways of improving the experience of our fans, and driving greater value for our partners," comments Ali Russell, Formula E's director of Media and Strategic Partnerships. "Rewind's demonstration in Paris has successfully shown the value of this new product as well as proving the robustness of the technology. There are many opportunities on how to utilise this innovative platform. Formula E will now fully investigate how best to develop and implement this technology for future races." Rewind - Intro from CURB Films on Vimeo. And with the FIA trialing connected smart racing suits at the recent 2016 FIA World Endurance Championship, it looks like professional motorsport is embracing new technology like never before.